Fall is finally in the air; we have all your gardening needs! Before today, you have to go all the way back to April 29th of this year, to have experienced a day where the temperature did not reach 70 degrees in Nashville Tennessee. On that date, we reached only 69 glorious degrees; we only made it to 65 today. In the nearly six months between ‘cool spells’, we have collectively experienced the ‘hot part’ of our growing season. It’s time for a wardrobe change. While we may not put away the short pants just yet, jeans are now officially back in the rotation. Certainly, many new items have now been added to our autumn apparel. It is time to break out the flannel and the fleece. Pull out the long sleeved t-shirts and the boots. Vests and windbreakers are now fair game. It’s like going on a shopping spree at home; all of a sudden, our entire clothing selection has had a makeover! An important article is seasonal for some, but is year-round for me: gloves. I am a glove proponent. I have invested heavily in gloves. I have gloves for every situation; wet weather, cold weather, any weather. The older I get, the more aware I become of protecting my hands. I guess I’m not as tough as I used to be, and I certainly don’t heal as quickly. Gloves mitigate 'a world of hurt’. I took my gloves off for two minutes yesterday and am now sporting Band-Aids on both hands. I hate losing the dexterity that gloves impede, but I wear them anyway. If your garden screams for a wardrobe change, we are here to help. 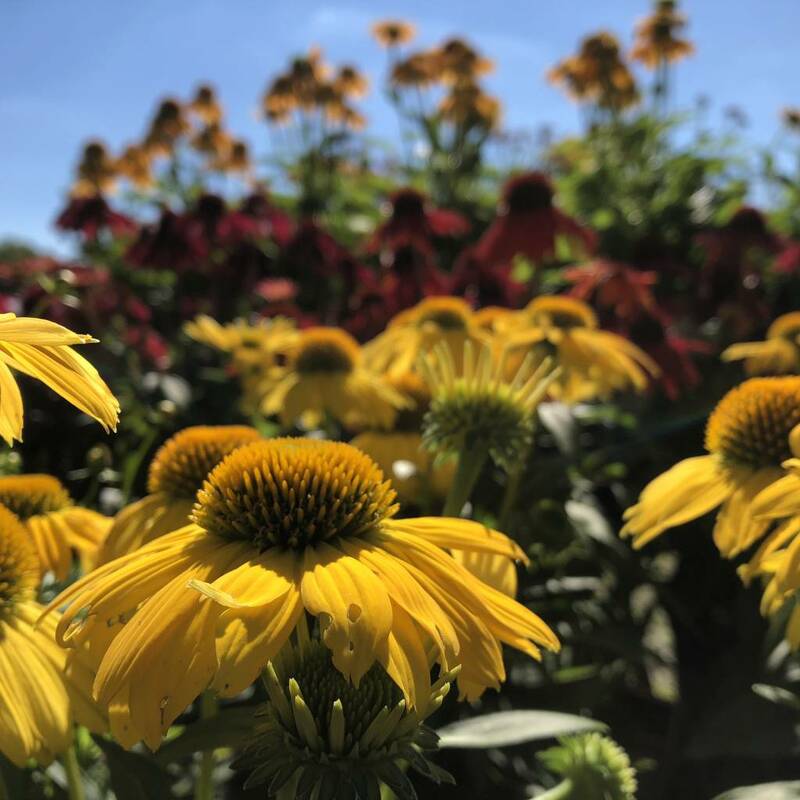 It matters not whether you have moved into a new home or a decades long domicile, fall is the time for the easiest, and most efficient planting. Bring photos along on your smartphone, and we’ll give your situation a look. Our landscape professionals stand at the ready. Be it trees, shrubs, groundcovers, or fall color, we promise to steer you in the right direction…gardening success!